Does it feel as if you’re dying from premenstrual syndrome (PMS) every month? Well ladies rejoice because improving your diet can help ease your period cramps. If you’re in a bad mood or if you’re bloated, this article will guide you towards good nutrition to solve your every PMS problem. Bananas are rich in potassium, which can stop you from feeling bloated. If you don’t like bananas, oranges are also a good source. 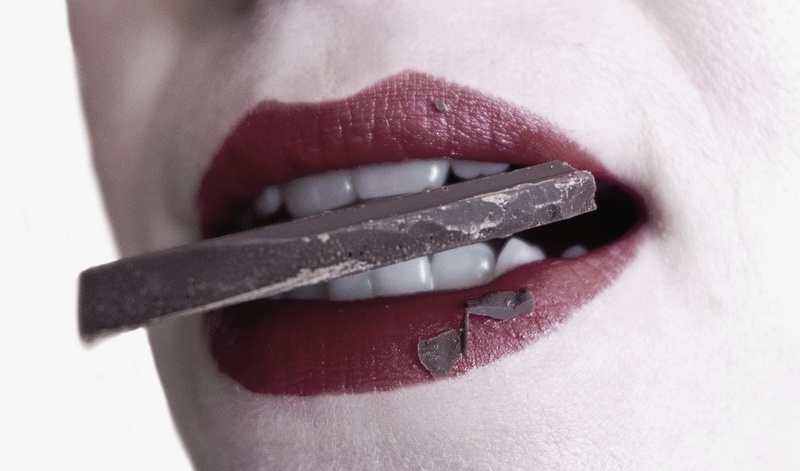 Dark chocolate helps alleviate depression and fatigue because it boosts serotonin levels. When we have our period, a lot of us find ourselves craving chocolate or something sweet but dark chocolate is a healthy alternative. Fat-free yogurt is an excellent source of calcium. Calcium-rich dairy products are an absolute must for women especially those with added vitamin D because they can lower the risk of developing PMS symptoms. Stay away if you’re lactose intolerant. Rich with vitamin D, vitamin B6 and Omega-3, salmon may help reduce irritability, breast tenderness, and cramps because of its anti-inflammatory effects. If you don’t like salmon, try sardines. Peanut butter has magnesium which helps regulate serotonin. Serotonin is one of the feel-good chemicals in your brain which leads to lifting your mood and prevent bloating. High in vitamin E, peanut butter can also help with inflammation and cramping. Chamomile tea is amazing because it relaxes you. It has properties that may help reduce the severity of the cramps. In fact, a warm cup of any type of herbal tea can be soothing and also a great choice when you’re on your period. Most important thing in the world – Water! It is the easiest way to get rid of the bloating and will keep you hydrated. Drink plenty of water since it also radiates the skin. Remember, to embrace your body and always constantly take care of it. During your period, try to avoid smoking and sugary food for a healthier cycle. Do you know any other foods that can help during the menstrual cycle? Comment and Share!